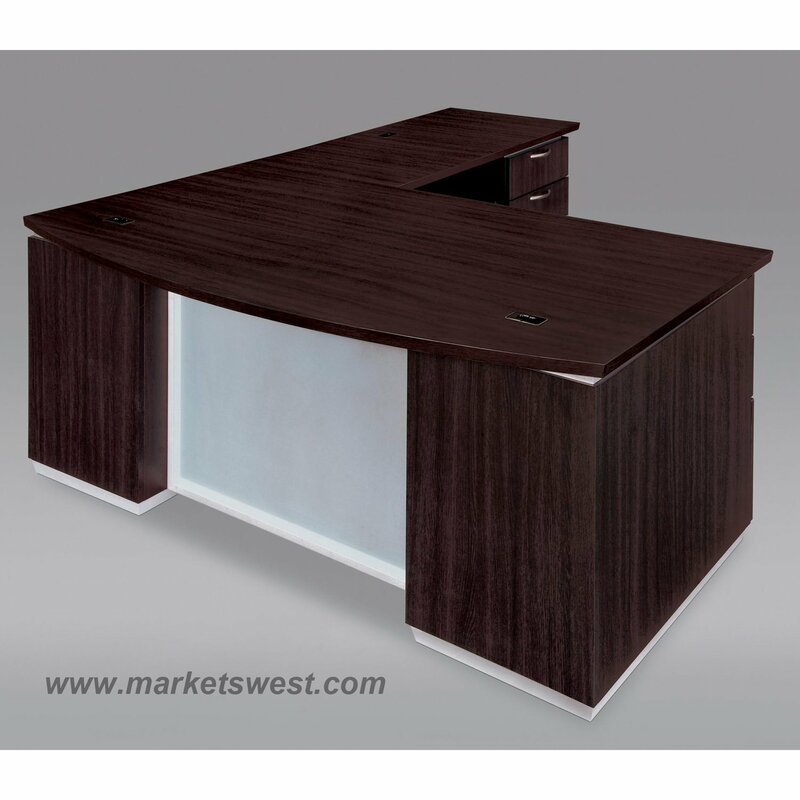 Box / box / file drawer per pedestal. With its sleek and stylized design appeal, the Pimlico Laminate series combines a smooth Mocha (7020) , or 7027 Walnut finish with satin aluminum finished bases and framed glass modesty panels and doors. Enhancing its aesthetics, Pimlico Laminate features edges with a slight recessed angle and tops separated from chassis with a satin aluminum finished reveal complimenting its satin nickel drawer pulls. This gives a "floating top" look. 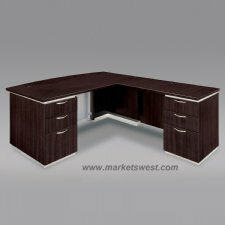 Most desks are available with frosted glass, white glass or laminate modesty panels. Overhead units are available with frosted or white glass door panels.